Shaun Bierweiler, president of Hortonworks’ federal business, told Emergency Management in an interview published Wednesday that developers have come up with enterprise open source tools such as Hadoop and Apache NiFi designed to process and generate actionable intelligence from data. 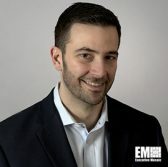 “The beauty of using an enterprise open source platform in a disaster response setting is that government agencies are supported throughout the entirety of the emergency management life cycle,” he noted. He cited the limitations of legacy platforms and various data formats as some of the big data challenges and discussed how cloud computing helps agencies address data storage issues. Bierweiler, who is also vice president of U.S. public sector at Hortonworks, talked about the capacity of large data workloads to build up algorithms and other artificial intelligence platforms. “Recent research has shown that giving simple algorithms access to more data has a catalyst effect on what your algorithms are capable of achieving,” he noted. He also discussed the need for agencies to have a “holistic cybersecurity perspective” in place and ensure data privacy.